Posted on June 3, 2014 by Warin	in 1977, 1996, Alex Haley, Down In The Delta, I Know Why The Caged Bird Sings, Literature, Maya Angelou, Roots. She was a poet, an author, a dancer, a newspaper editor, a college professor and an American icon. Maya Angelou passed away last week and she leaves us as one of the most accomplished writers and titans of literature of her time. Her book, I Know Why The Caged Bird Sings, was an autobiographical feature that touched the heart of millions. 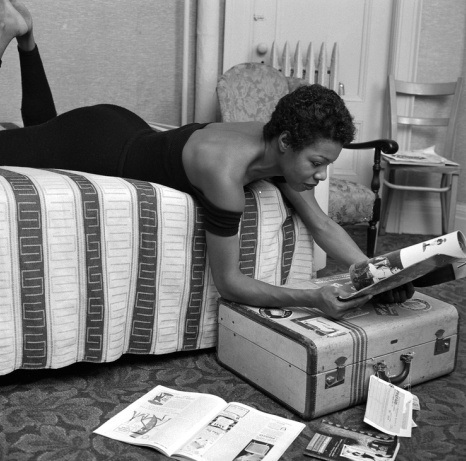 In addition to her literary works, Maya Angelou also left behind a film legacy. According to her biography website, she appeared in Alex Haley’s “Roots” in 1977 and John Singleton’s “Poetic Justice” in 1993. She directed her first feature film “Down In The Delta” in 1996. Dr. Angelou will certainly be missed. Posted on May 23, 2013 by Warin	in 1996, music video, Tony Toni Tone.